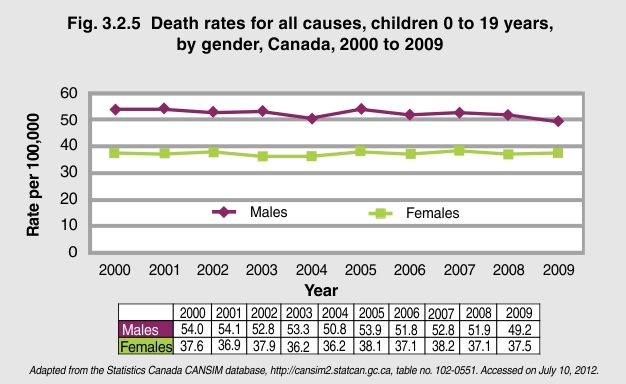 In Canada, the death rates for children and youth aged 0 to 19 years have remained relatively stable1over the 10-year period from 2000 to 2009, especially for females. For males 0 to 19 years, between 2000 and 2009, death rates declined by about 9%. 1Statistics Canada (2009). Canadian Vital Statistics, Birth and Death Databases and population estimates.